I was born in the middle of a heat wave that hit the Murray River area of Victoria in November 1958. My parents, Vin and Margaret, were living on a sheep station called "Glencoe" near Barham, NSW. When I was two years old we packed up and moved to a property at Northdown in NW Tasmania. It had been a district school during the first part of the 20th century and had one large classroom. We used to play badminton in this room untill Dad converted the whole building into a four bedroom home in the late 1960's. I went to the local schools, Wesley Vale Primary and Latrobe High School and then worked for a transport company for a time before marrying and having three children. which we have printed at A1 size to hang on the wall. I am working on some family stories to complement the vast amount of photos I have. My life now is filled to the brim with researching family and local history, working full-time, teaching part-time and running a small business with my partner Jim. 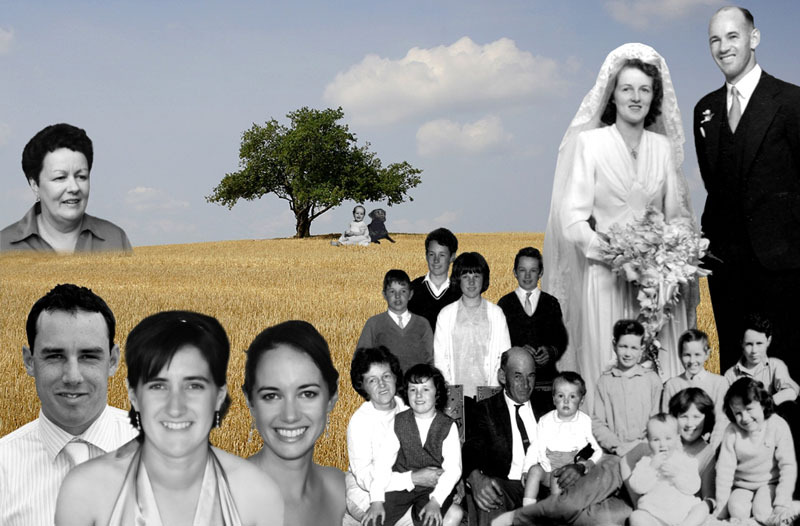 This business allows us to combine our genealogical and online hobbies; we provide digital family history services to local, national and international clients.